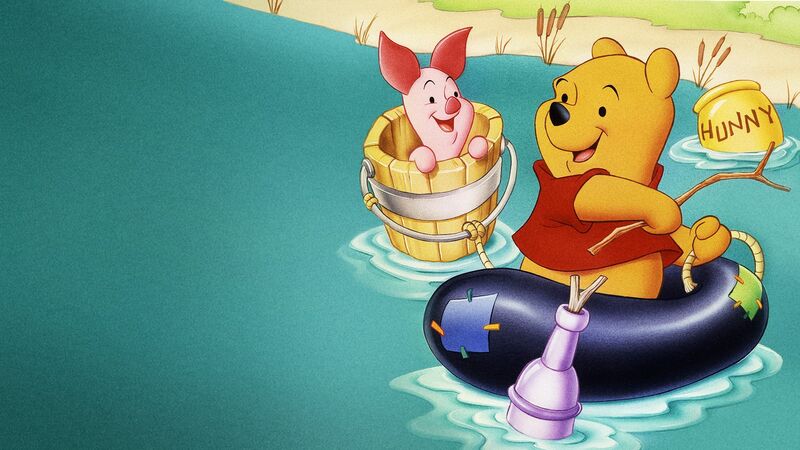 Here's where to watch every episode of The New Adventures of Winnie the Pooh season 1. Mouseover or tap an episode to see where to stream it. Click or tap the play icon to stream it on the best available service. Pooh Oughta Be In Pictures Sep 10, 1988 Christopher Robin, Tigger, Rabbit, Pooh, and Piglet go to the movies. Piglet is very scared and shuts his eyes during the whole thing. When back at the Hundred Acre Woods, Christopher Robin decides to do their own portrayal of the movie. Friend In Deed Sep 17, 1988 Pooh really loves honey and he keeps using Rabbit's. 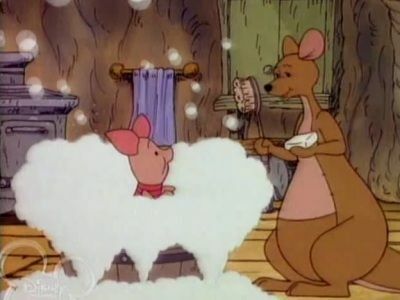 Rabbit is almost out of honey because Pooh is always in need of it. 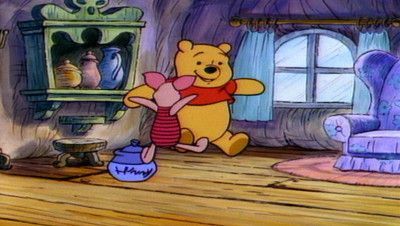 Now, Pooh and his companions go on a quest to find some honey for Rabbit, to make him feel better. Donkey For a Day Sep 17, 1988 The gang tries to cheer up Eeyore. There's No Camp Like Home Sep 24, 1988 Piglet has nightmares about heffalumps and woozles; Piglet, Tiger, and Pooh go camping. Ballonatics Sep 24, 1988 Pooh borrows Christopher Robin's ballon and lends it to Rabbit, who uses it as a scarecrow. 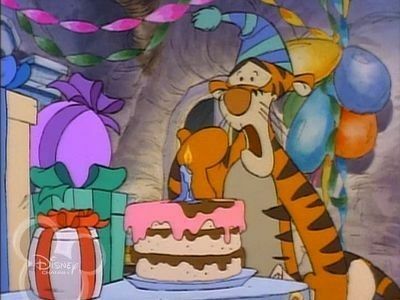 Tigger, Piglet, and Rabbit pop the balloon by accident. Find Her, Keep Her Oct 1, 1988 Rabbit needs to find Kessie. Monkey See, Monkey Do Better Oct 29, 1988 The gang think it's Christopher's birthday. They haven't got him anything and so they get him themselves. Christopher Robin gets a new toy. ""The Best Toy kid could get."" The gang is upset about his new toy. unwraps it, a wind up Monkey, Bruno. He laughs at the others and challenges them. The show-off ape outbounced Tigger, out gardened and out honeyed Pooh. The Gang watch Christopher to have the best, and so they sadly the woods with their things. Chris comes to them telling the gang he loves them for who they are, not for what they can do and doesn't want them to leave. Bruno is upset and feels unwanted. Chris tells them that Bruno is a present for his friend and the Gang stays and Bruno leaves, He takes out his wind up, feeling no one wants him. The gang find him and crank him up. They tell Bruno that they were worried about him. Chris tells Bruno that he'll be his friends special friend, and Bruno feels happy that he's wanted and they wrap him up again for the birthday party. 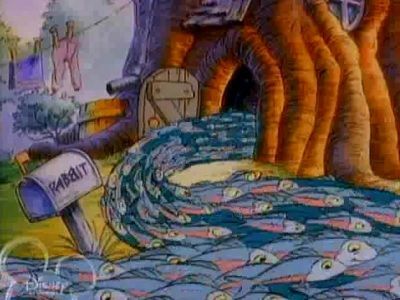 The Rats Who Came To Dinner Jan 7, 1989 The Packrats are back again, replacing things they pinch with walnuts. However they get into a spot of bother when they puncture their own wall with a thimble and spring a leak. They rush into Pooh house and he decides to shelter them until the rain stops. He tells them that not everyone is happy with walnuts in return. The whole gang is hard at work bailing out water. 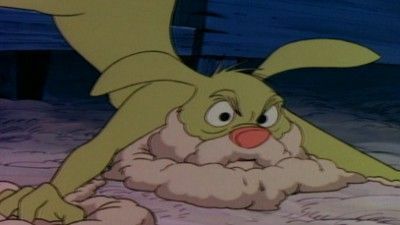 The Packrats steal pots form the others and give them to Pooh. 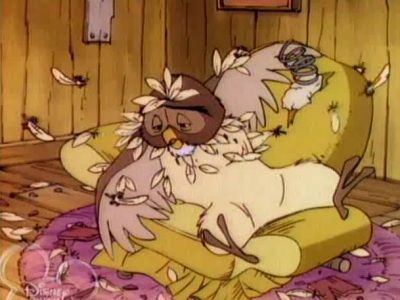 Pooh tells them that it's better to give than to take and puts them to sleep. 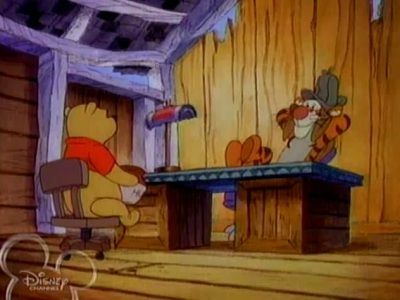 However, the Packrats take Pooh things and put them in Piglet's house. Pooh can't understand why. The Gang tries to capture them, though Pooh says they're confused. The gang finds that all the other houses are bare too. Pooh doesn't want to believe that they're thieves. However, the Packrats had taken all the things to Owl's house for safe keeping from the floor and the gang thank them with a cake! My Hero Jan 14, 1989 Piglet rips through the air whilst attached to a kite.